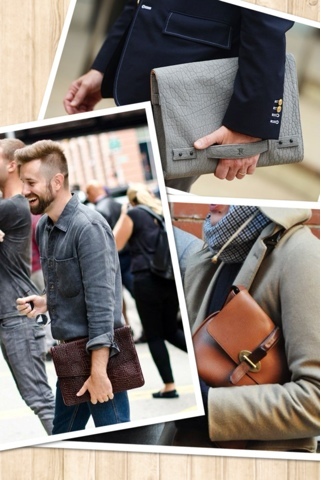 Ah the man-bag. 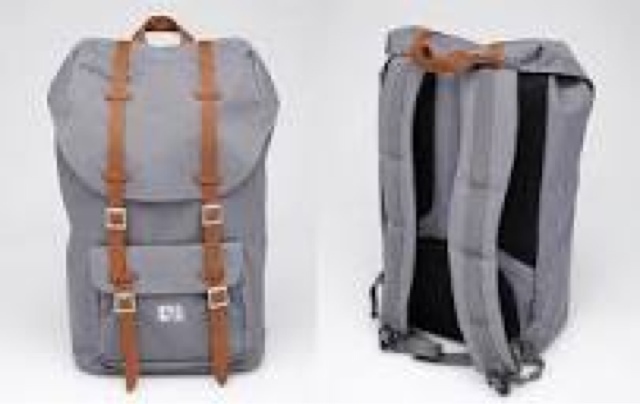 Subject of equal praise and criticism, they have grown in popularity, bridging the gap between the back pack and briefcase. 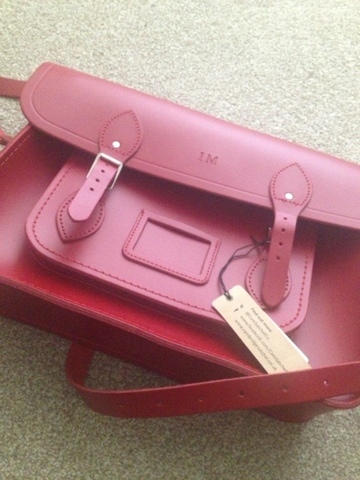 A gorgeous, monogrammed Cambridge Satchel in red. 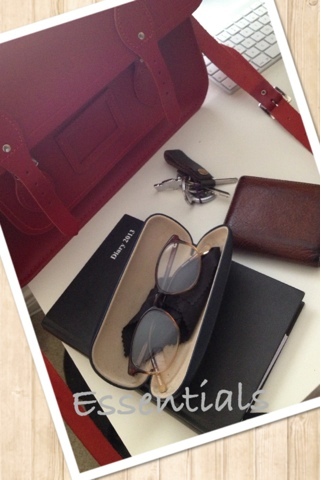 So now you get a glimpse into the organised chaos of my little red bag. 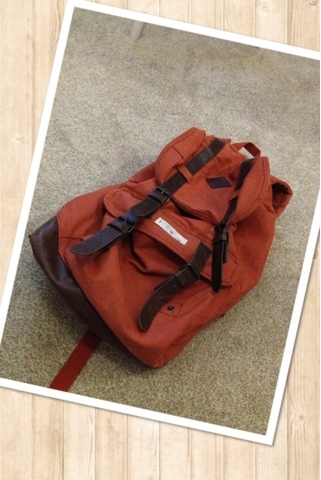 Ok firstly the bag itself: although it was a gift, I know it retails for £120 + personalisation. I've been coveting one for a long time and was over the moon when I got it. It's 15" making it ideal for a netbook or files and all my crap. •Wallet: Mulberry £150 - a leaving present from my time as manager in Argento Belfast. I have a fiver inside it. •Keys: not really valuable, but they open my house so technically they have some clout. •Work Diary: £1 in Poundland. Does what it says. •Specs: Tommy Hilfiger case, Specsavers frames £25. I'm not pretending my goggles are Tommy Hilfiger, it's an old case that fits. •iPhone: (not shown as I took the picture with it) 16gb iPhone 4s - current RRP £449. All in, I'm carrying £983.95. That is quite scary as to how casual I've been - if I had amount on me in cash I'd be nervous! 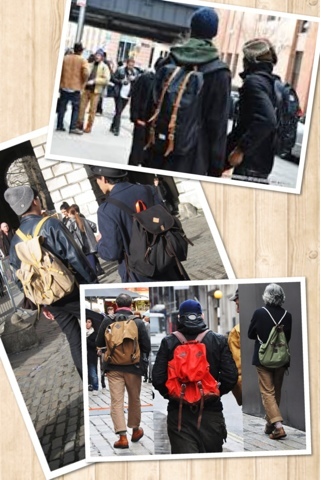 If the messenger/satchel type bag isn't your style, backpacks have seen a resurgence in popularity, with the likes of Dior and Louis Vuitton offering high-end versions. I'm not one for big designer pieces; I don't tend to wear anything with a blatant logo and there is little to no chance of me affording it. NB: as handy as backpacks are, they hold a lot but this can mean you are tempted to carry more and you can never find anything in them in a hurry! I'm playing with the idea of a folio for summer (I can pretend I live on the continent), they've been spotted under the well-dressed arm of many fashion week attendees. There is, however, a fine line between a document holder and a clutch bag. 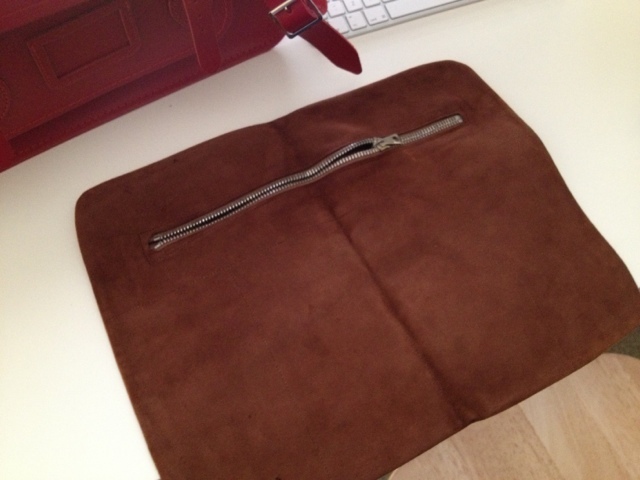 I picked up this vintage suede document folder on eBay for £6 - bargain for a trend I'm not fully committed to. 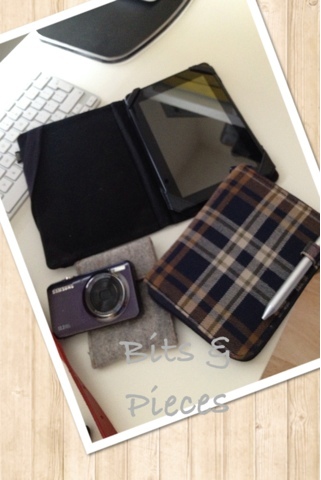 It fits an iPad and a4 pages and with a secure zip, it'll keep everything together. So I've shown you mine, now show me yours!